Few would doubt the central role of money today. It is the hub around which much of the modern world turns, particularly in those places impacted by capitalism. Add to this the fact that the use and abuse of money has frequently been addressed by Scripture and by notable figures in church tradition and, clearly, money is an aspect of contemporary society deserving of serious Christian reflection. 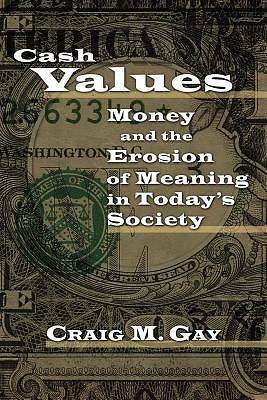 In this new volume by Craig Gay considers with wisdom and aplomb the impact of money in personal and social life. Considering the insights of a number of classical and contemporary social theorists, Gay shows the duplicity of a monetary ethos: capitalism is without question the most productive economic system ever devised, yet the market system also fosters a subtle nihilism that tends to empty the world of substance and meaning. Money also lurks behind many of the perplexing social and cultural problems so often associated with capitalist development. Gaybs analysis encourages readers to rediscover meanings and values that transcend bcash valuesb and that, therefore, might in turn serve to discipline the market economybs hold on the modern mind.